I moved forward in the trace of their footsteps as in a waking dream where the scent of a newly blown poppy is no longer a perfume but a blossoming: where the deep red of a maple leaf in autumn is no longer a colour but a grace; where a country is no longer a place but a lullaby." The sight of red poppies always delight my senses. 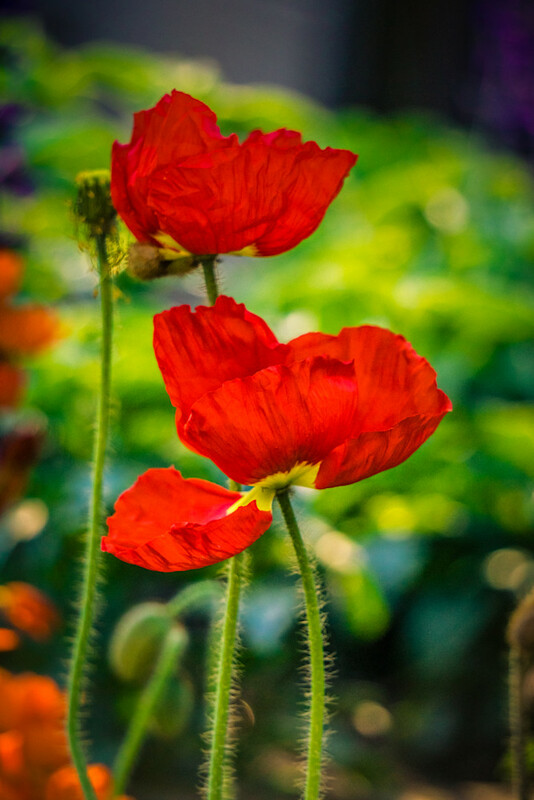 Their blood red blooms sway gracefully on long, slender stems as the soft breezes dance around them. It's always worth it to give myself the gift of a moment to take in their beauty.